What an amazing day in history. But more than a day, it was a life, a man, dedicated to bringing unity, breaking down walls, fighting for the rights of the lives of precious human beings!! A man so dedicated to a dream that he was willing to fight with all he had, using words with actions to bring change for the better for generations to come!! Willing to give of himself so completely, yet knowing the stakes were high, at the possible cost of his own life and family members! A man who had a dream for equality to prevail, for kindness to be shown to all, for love to be given unconditionally to his fellow man. A man who passionately pursued all God had created him for, his destiny. To one day rise up to proclaim with honesty, with humble pride, with grace, with hope, with integrity, the truth, his purpose, pressed into his soul from birth. Committing his life to all he believed in, to better the lives of individuals, of men and women, young and old, black and white. To make change in community, a state, a country, a nation, and ultimately the world! This man we all know so well, Martin Luther King Jr.
What a man! One who inspired me since childhood. Through my experiences in life I have looked up to the humble power of this man, one voice bringing about hope, bringing about real, permanent change for a nation! So often in my life I have sought to be the change, to travel the world with the good news of Jesus. Of a man born over 2,000 years ago. Born into our world to bring about hope, healing, direction, light in the darkness, and peace in the heart of all mankind. I was stifled for over ten years. Kept silent by a man I had trusted with my life, a man who was my husband “til death do us part”, my voice never again rejoicing in victory, in the hope I believed in, dying inside day by day. Afraid to venture out of my house, isolated often. Feeling like a hostage in my own home in a country half way around the world from my own family. But, there was always that light in my heart, though so dim and barely lit. My subconscious clinging to the awareness of that light, no matter how bleak my world had become. I escaped nearly 6 years ago to my homeland, fleeing the angry hands and heart of another, with the hope of clearing customs once I landed back in the USA, with my toddler, baby, and the fetus in my womb. Escape I did, and have started my life anew, with a voice again, on a journey discovering the me within! On my paddleboard on the Teton River. Photo credit: my sweet husband. Leggings: Om Shanti Yoga Clothing. My dream ten years ago, was to become a yoga instructor, knowing how wonderful each class was for me as I continued to suffer through chronic anxiety, depression, and PTSD. I was blessed to take a 200-hour yoga training course in my local studio. The course was stretched out over a one year period. I wanted to learn, to grow, to understand the depths of the healing capabilities of yoga. I discovered during the training that my personal life was changing. Having previously experienced every form of abuse through the hand of another, I was frightened to even step out of my little apartment and face the day!! But the ladies in the training were humble, honest, comforting, non-judge-mental, a wonderful support group…..another avenue along my road to recovery. Last week, January 8-12, 2018, I was also abundantly blessed and honored to complete a 40-hour training to officially become an ambassador for Roots Tribe Yoga, (RTY). A non-profit organization, under the umbrella of the Peace Corps, aiming to reach the world with the gift of yoga. The course work so close to the teaching of my own heart, and I am thrilled to implement the training/structure into my own yoga classes. Experiencing a wonderful connection with others in the Peace Corps around the world through the remote training. I began to find my voice again, the desires and passions that were instilled in me since birth, the destiny I was created for! My dream to become a yoga instructor came true. I discovered the art of teaching yoga by the very act of teaching, class after class, day after day, starting with children who love any attention given to them and continuing on my journey by simply saying “Yes” to every offer to teach yoga classes! I teach from my own life experiences, from a passionate heart, with compassionate eyes, with an enthusiastic joy for life that is not meant to be contained!! I teach classes that are created with the needs and cares of all who enter the class at the for front of my mind. I have been set free, and through this discovery I want to see others set free!! To bring about change in myself, my community, my country, and the world! A light in the darkness once again, blending my roots and beliefs with my God-given breath, and the art, practice, and therapy of yoga!! Oh what a joy to be on a journey of self-discovery, mindful of others, loving to watch as the lives of others has every potential to be changed as radically as my own life has been changed. No matter the pitfalls, the dungeons, life “In The Lion’s Den”….see my blog post. No matter your trauma, your worry, your fears, there is always hope! Where there is breath, there is hope, don’t give up. I gave myself that pep-talk for years!! I believe in you, I believe in a mighty God who has His arms stretched out to you, I believe in miracles, and I believe in one voice making the change needed in the world today!! My dream to become a yoga instructor came true! But, even so much more than that, I was unexpectedly blessed by one open door after another to start my own yoga studio today! And what an amazing day it was! The blessings each individual brought to my heart! The nervousness, mixed with excitement on the face of each student upon entering the room, and then the calm, peace, delight, and serenity on the face of each student as they left. This day we celebrated my favorite man in history, Martin Luther King Jr.! This day, I am pleased to have opened my arms wide to those who came to the classes, embracing them each with a hug and a smile! Never stop dreaming, where there is breath, there is hope!! Hummingbird Yoga. 47 S. Main St. Driggs, Idaho. 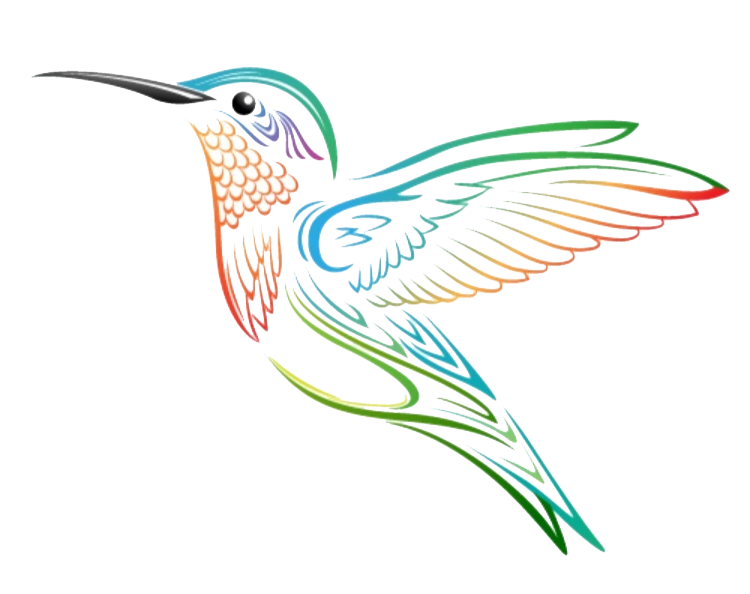 I hope you will join me in my new yoga studio, Hummingbird Yoga, join me through reading my story and sharing it so others too may be inspired, to believe again, to find their way, to hope again!! Join me at a coffee shop to just sit and talk. Watch my YouTube videos if you need a simple place to start….this is an area I am just now discovering and hoping to bless people with who can’t get to a studio no matter the reason. If fear is keeping you locked behind closed doors, I fully understand, I lived that way for years! But, you have been gifted with so much more potential. Reach out to me if you need a listening ear, some practical advice from my own life experiences, a shoulder to cry on. Know God is there and He places just the right tangible people in your life at just the right times. So if you think God has given up on you, look around at the people he has placed in your life and take the first big step of reaching out. I know you can find your strength. My tangible strength and support has come through trusting another man again, the wonderful man who is now my husband. Supporting me through my whirlwinds, through my roller-coaster mind, through my tears and my fears, supporting my dreams, and encouraging me to pursue my dreams!! My support system is bursting at the seams through the lives and support of family, friends, my counselor, my acupuncturist, those who have supported me in the darkest moments of my life. My heart is so full and bubbling over! Stay true to yourself, true to your truth, and walk through each day with humble confidence!! You are LOVED! !